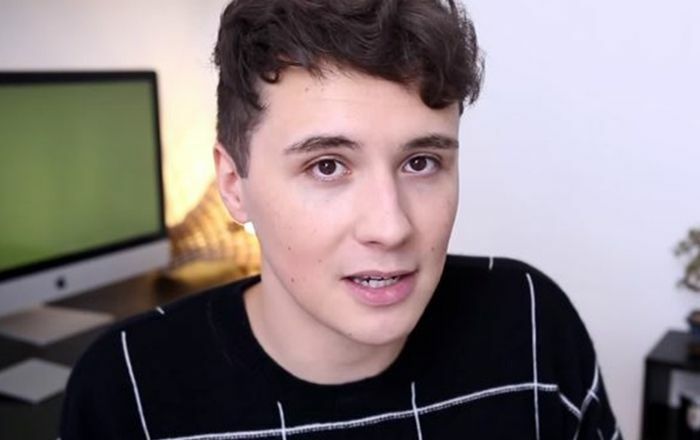 Dan Howell is a famous English YouTuber and radio personality best known for his eponymous YouTube channel danisnotonfire, which has gained over six million subscribers. He presented a number of shows on BBC Radio 1 since 2013 along with his co-host Phil Lester such as “Dan and Phil”, and “Internet Takeover”. Dan Howell was born on June 11, 1991, in Wokingham, Berkshire, England, UK. 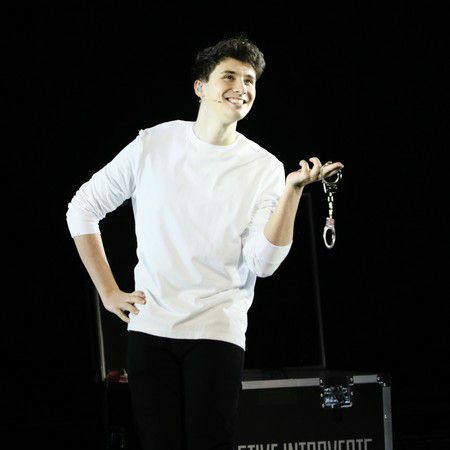 Dan Howell graduated from The Forest School in Winnersh in 2009. He got enrolled at the University of Manchester to study law in 2010, but he dropped out after his freshman year to focus on his YouTube career. Unfortunately, we do know very little about his family. He was born to English parents and was raised along with his younger brother named Adrian Howell. His father worked in a departmental store while his mother managed a beauty parlor and also worked as a hair designer within the ramp shows. Dan was reported to be in a relationship with actress Lucy Hale in 2013. He had once revealed that he is bi-sexual via Twitter. There are rumors that he has been in a relationship with his best friend Phil Lester and they supposedly raising a boy named Dil Howlter. Dan Howell made his acting debut in the short fantasy film Knightmare in 2013. Apart from acting, he has had a voice role in Disney Junior’s The Lion Guard as gorilla princes Majinuni in December 2016. Daniel made his debut TV show appearance in a talk show Newsround in 2013. Dan Howell joined YouTube in October 2006 and uploaded his first video titled “Hello Internet” in October 2009. The video went viral on the platform garnering mostly positive reviews and his channel eventually began to gain subscribers. The budding internet star has amassed over 6.5 million subscribers on his channel and earned over 627 million views as of November 2018. Howell has an estimated net worth of $2.5 million, which he accumulated from working as an online content creator and a radio personality. As a teenager, he worked at retail chain Focus DIY and later at a supermarket before gaining fame and popularity. In 2012, he further gained popularity by wining the YouTube competition “SuperNote”, hosted by comedy duo Rhett and Link. He was featured on Benjamin Cook’s weekly series, Becoming Youtube. In 2012, Dan was named as the “Hottest Lad of the Year” by Sugarscape magazine. In January 2013, Dan along with his friend Phil Lester presented the entertainment show ‘Dan and Phil’ on BBC Radio 1 on Sunday night. That year, they won the Sony Golden Headphones Award for the UK’s favorite Radio Presenters through voting done by fans. His fans are called danosaurs. In November 2016, Dan and Phil released their photo book, Dan and Phil Go Outside, in which they put together personal collections of candid photos and insightful stories from the tour. The book went on to become a #1 New York Times bestseller. In May 2015, the British Tabloid Mirror placed him on the 5th spot in the Top 10 British YouTubers list. From April to September 2018, Lester and Howell went on a world tour called Interactive Introverts, covering 18 countries, which was one of the biggest YouTuber tours of all time. Dan has won the British Online Creator Awards twice in 2016.